VT Rifle: Hunt 5 - Gol Durn! 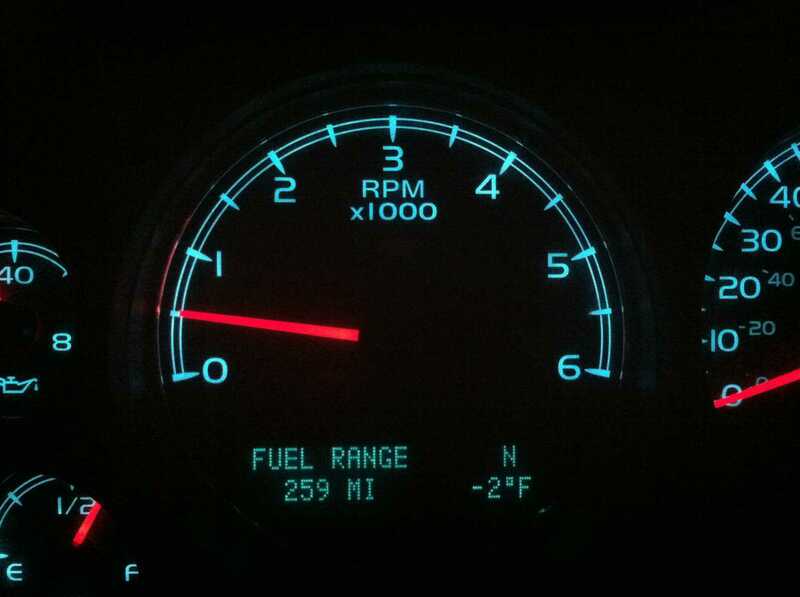 It's Cold! - the4pointer.com | Real Hunts. Unreal Stories. VT Rifle: Hunt 5 – Gol Durn! It’s Cold! As it turned out, Saturday morning was much colder than Friday morning… how neat. The other neat thing was that I had lent my heavier winter boots to my Uncle who was up from Florida to hunt in NH for a week. I thought I’d be hunting with him, but if you remember, my gun went off on a 4 pointer in NH so I didn’t have any tags left. So, I had a couple layers of socks on and my feet were crammed into my other boots. Luckily I had a set of insulated booties to slip my boots into once I was settled into my stand and they almost took the bite off. Even more neat is that I don’t really have a good heavy pair of gloves that my hands don’t sweat profusely in when I exert a little energy. So, my feet were cold and my hands too. I also forgot my neck warmer in the truck…. (insert “I’M SUCH AN IDIOT” here). The closest thing I had for action all morning was the sound of something walking just around the hill to my left right at daybreak. At least that’s what I told myself. I had attempted a different approach by parking further up the road and hiking up the hill in the dark to try to get ahead of the deer as they headed around the hill to bed. I think my strategy was a good one, as evidenced by the sound of the mythical deer walking off to my left, but even getting there at daylight was too late. Deer Tracks and Bear Tracks side by side in the snow. I moved enough every half hour to keep from freezing solid but never more than 100 yards from my first position of the day. Around 11:30 I met up with Dad who was had been sitting in the same blind as the day before. He hadn’t seen a thing either and we went for a little spin on the 4-wheeler. 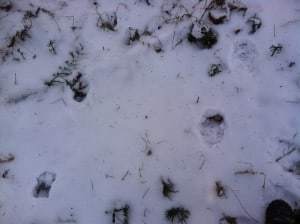 We inspected up high again out of curiosity but other than a few deer tracks and bear tracks it was pretty barren. The recent snow seemed to have pushed the deer to lower elevations. There was one nice set of tracks in the snow, however, and even though it was only one of three that had walked through the area in the past 4 days it was still hard to not want to sit right there. There’s something about a big track that’ll make you excited, even if it’s the only one in the area. Dad and I parted ways again at one pm. He went back to the blind and I went home to hang out with Steph and Sam and finished decorating the tree. Dad had a spike horn come trotting by around 2:30 but not much else until right before dark. With 15 minutes of light left he clanked the rattling antlers together for kicks and a large bodied deer came crashing down off the hill from high above him. It came within 75 yards but never gave him a good look thanks to some hemlocks and a big fallen maple. It (we can only assume a monster buck) tramped around for a couple minutes just out of sight and eventually left without ever giving Dad an opportunity. Poor Dad lost a lot of sleep Saturday night…..